There is something poetic to the often-repeated story that the founder and builder of one of the most important schools in the history of 20th century art, design and architecture could not actually draw. Whether sparked by this particular shortcoming or a grander desire to unify the arts, collaboration is a running theme in the life of Walter Gropius, an ideas man who did not always have the means to deliver. It is something he had a miraculous talent for, from paying students at college to complete his drawings, to bringing some of modernism's most mythic characters into his orbit. It became the underlying principle of the Bauhaus, a school that combined the education of arts, architecture and craft, with the vision of producing complete works of art. 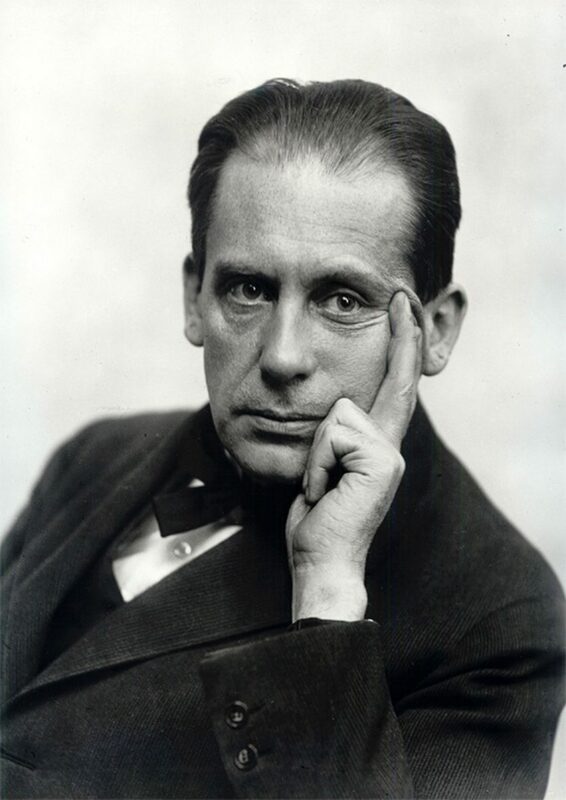 Gropius was born in 1883 to wealthy Berlin parents. He wasn't the first Gropius to train as an architect – his great-uncle Martin (1824-1880) has also made a name for himself in the industry. Walter Gropius actually dropped out of college before finishing his degree. A year after leaving, in 1908, a recommendation from patron of the avant-garde Karl-Ernst Ostenhaus landed him in the office of architect Peter Behrens, a founder of the Deutsche Werkbund association. This pushed a rather green Gropius not only into the world of Behrens, but of Ludwig Mies van der Rohe, who also joined the studio in 1908, (and with whom Gropius would develop a famous cordial rivalry) and possibly Le Corbusier, who joined in 1910, the year Gropius left. Behrens' work with the Allgemeine Elektricitäts-Gesellschaft (AEG), not only for buildings like the seminal Turbine Hall in Berlin-Moabit, but everything from lighting to office stationary, as well as his involvement in the Werkbund integrating traditional crafts into industrialisation, no doubt played a role in influencing the Bauhaus' total design ethos. 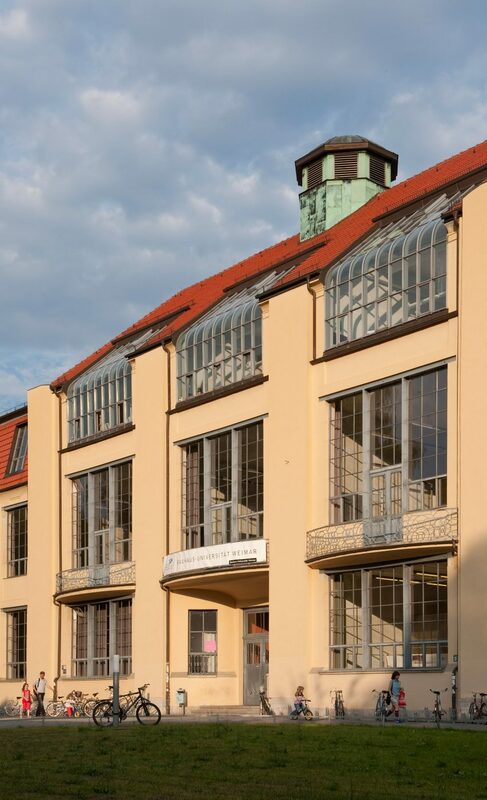 Gropius left the studio of Behrens in 1910 to establish his own office in Potsdam-Neubabelsberg with Adolf Meyer – another introduction made via Behrens. Despite Meyer's no doubt crucial role in the firm, Gropius described him as "merely the office manager", taking on any public-facing roles himself. 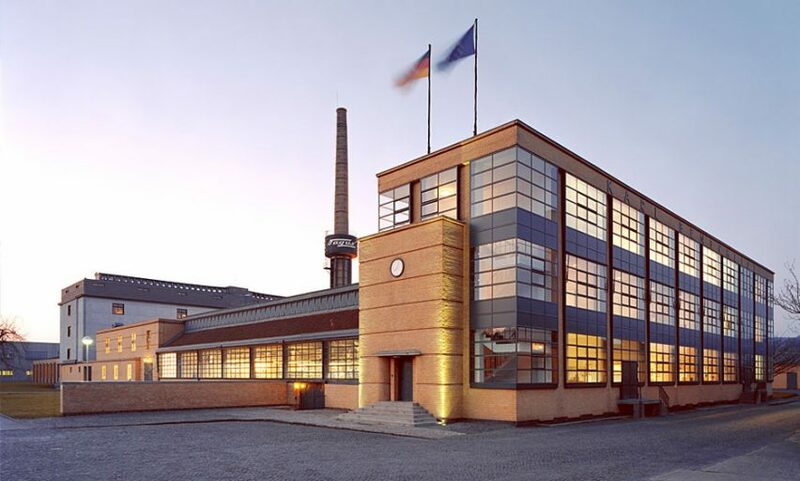 In 1913, the duo completed the building that effectively made Gropius' name as an architect: the Fagus Factory in Alfeld. It was the first in a string of works that, akin to Behrens, resulted from close collaboration with industrialists, dealing more artistically with straightforward industrial briefs. Already in 1936, Pevsner was lauding the Fagus factory's "unprecedented sense of openness and continuity between inside and outside". The model factory and office designed for the first Werkbund exhibition in 1914 was also a sign of things to come, merging modernism with more traditional ideas of monumentality. Gropius' practice was put on hold following the outbreak of the first world war. But while still serving on the Western Front in 1916, he submitted a proposal to the Grand Duchy of Thuringia, setting out his "recommendations for the establishment of a school that could provide artistic guidance to industry, trade and the crafts", which would some years later lead to his appointment as professor at the Weimar Academy of Fine Arts) in 1919. Between the end of the war and taking up this teaching post, Gropius became involved with several groups key to the early Bauhaus idea: the Novembergruppe of expressionist artists and architects (who took their name from the month of the German Revolution and produced work that aimed to support a Socialist revolution), the Arbeitsrat fur Kunst (Work Council for Art), founded by Bruno Taut in December 1918, and the Glaserne Kette (Glass Chain) series of utopian correspondence, also initiated by Taut. When Taut left the Work Council for Art, supposedly after realising the limits of their utopian ideas, Gropius took over as chairman in 1919, renewing its vision. As a flyer declared: "Art and the people must form an entity. Art shall no longer be a luxury of the few but should be enjoyed and experienced by the broad masses. The aim is an alliance of the arts under the wing of great architecture." The Bauhaus manifesto would be drafted that same year, when Gropius was able to negotiate the merging of the Academy of Fine Arts with the disbanded School of Arts and Crafts, creating the Staatliches Bauhaus in Weimar. In the manifesto, Gropius set out the objectives and principles of the school, stating that "the Bauhaus strives to reunite arts and crafts – sculpture, painting, applied art, and handicrafts – as the permanent elements of a new architecture". The school would have no formal department of architecture until 1927, instead seeing students experimenting more generally with material and form, with great emphasis placed on intuition. If the Bauhaus became synonymous with a rigid, white-rendered international style, its early years were far more expressionist. Gropius continued his own practice, frequently employing Bauhaus students, and two works, the Sommerfeld Residence, completed in 1921, and a Memorial for the Victims of the Kapp Putsch in Weimar (this one Gropius actually sketched), completed in 1922, are both surprising works of handcraft and expressionism. Sommerfield continued Gropius' lineage of projects for industrialists – Adolf Sommerfield was a sawmill owner and builder, and a great supporter of Gropius - and was the first true Bauhaus collaboration, with Josef Albers designing its windows, Joost Schmidt designing its wooden beams and Marcel Breuer designing furniture. Some have read this lavish display of handcraft as a reaction to the war, which perhaps shook Gropius' belief in the potentials of technology – tragically, neither the Sommerfield Residence or Weimar Memorial would survive the second world war. But it did not take long for Gropius' 1919 declaration, "all of us must go back to handwork! ", to become, in 1924, "a conscious return to the old handwork would be…an atavistic mistake". This was the result of a re-orientation for the school, which pushed standardisation and international goals in modern architecture to the fore in the International Architecture Exhibition, staged by Gropius. This shift saw criticisms of the school rise – much of it ironically from trade and craft organisations – and the school's funding was drastically cut, as right-wing members of the State Assembly gained greater influence. In 1925 Gropius himself was asked to resign, and in a bid to save the school, negotiations began with alternative locations. 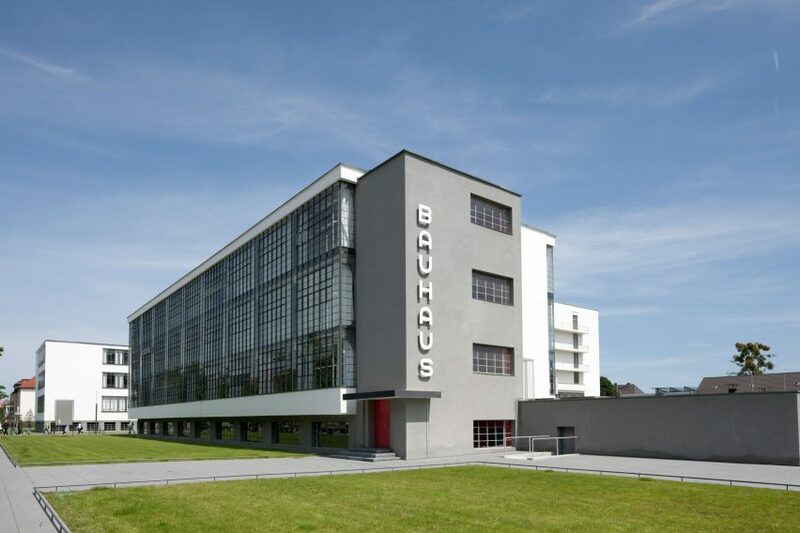 Dessau in Saxony-Anhalt made the best offer, and paved the way for the construction of Gropius' most famous works, the Bauhaus itself and the houses for its masters in 1926, built as symbols of a new architecture. Gropius left the Bauhaus in 1928 in the hands of Hannes Mayer and subsequently Mies, to continue his own practice in Berlin. The school would close in 1932 following increasing political pressure from the far-right. Gropius was initially indifferent about the seizure of power by the Nazis. There was a hope that the functional aesthetic of the Bauhaus could be a means for this new regime to express itself, and in 1933 Gropius entered a competition for a new Reichsbank. But it soon became clear that there was little interest in modernism as the aesthetic language for this fascist regime. With the help of Maxwell Fry, Gropius, under the pretext of a short trip to Italy, fled to England in 1934. Despite offers of support for an English Bauhaus, Gropius' move there was not hugely successful. After a stint in the office of Fry, Gropius moved to the USA in 1937, appointed as professor at Harvard and just a year later becoming Director of the Department of Architecture. It was here in 1945 that Gropius would found The Architects Collaborative (TAC), which included Norman and Jean Fletcher and John and Sarah Harkness, and became one of the most successful firms in postwar modernism, designing an impressive roster of works, including Six Moon Hill in Massachusetts and Harvard Graduate School. Gropius died in Boston in 1969, but TAC remained in operation until 1995. Its work, although not always bearing the stamp of Gropius himself, owes a huge amount, like the Bauhaus itself, to the power he saw in collaboration.